In many organizations, activity (contain of Task and Event) is widely used to monitor relationship and communication with customer and prospect. 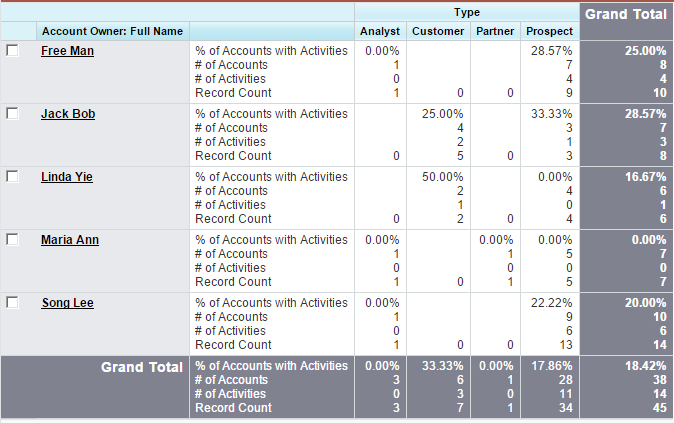 Instead of all happened through email, ideally it need to be captured in Salesforce as well. 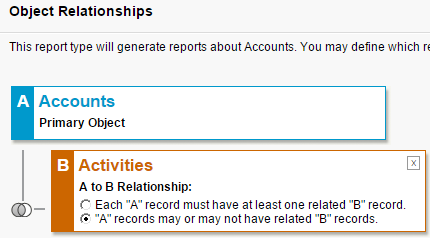 Customer and prospect in Salesforce is re-present by Account object. Activity logged in Contact and Opportunity will be roll-up to the Account, event the activity is not directly linked to Account. 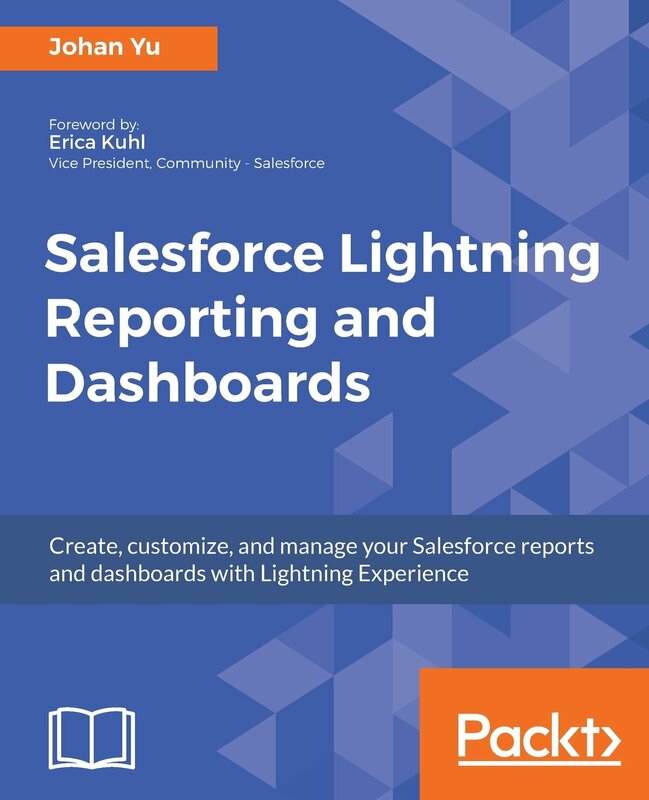 Use case: management would like to monitor how is the activity logged in Salesforce by Account and by Sales Rep in high-level. 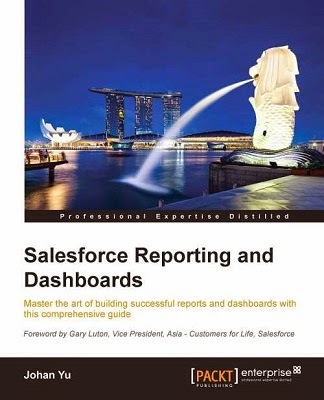 Solution: use Salesforce report to produce real-time data and schedule it for future run. 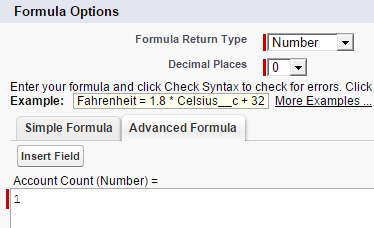 The purpose of both this field is to count unique record. Name the field as Activity Count. 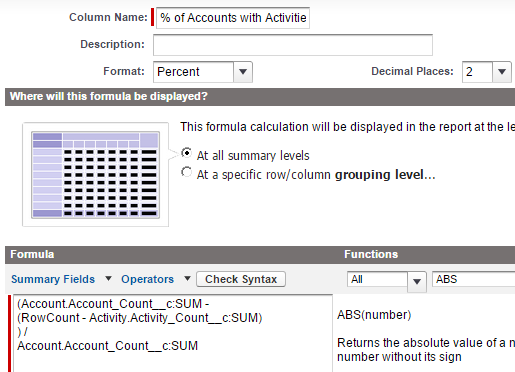 Use the same formula as in Account Count above. Navigate to Setup | Create | Report Types, create Accounts with & without Activities report type with following relationship. RowCount --> this is total row return in report query, it will contain number of Account and if the Account have multiple activities, it will return the duplicate value, example: there are 10 accounts, 5 activities, but 3 of them linked to the same account, so row count will become 12 because 3 activities for the same Account. The same solution can be used for other objects, such as how many percentage of Opportunities with Activities or Contact with Activities.